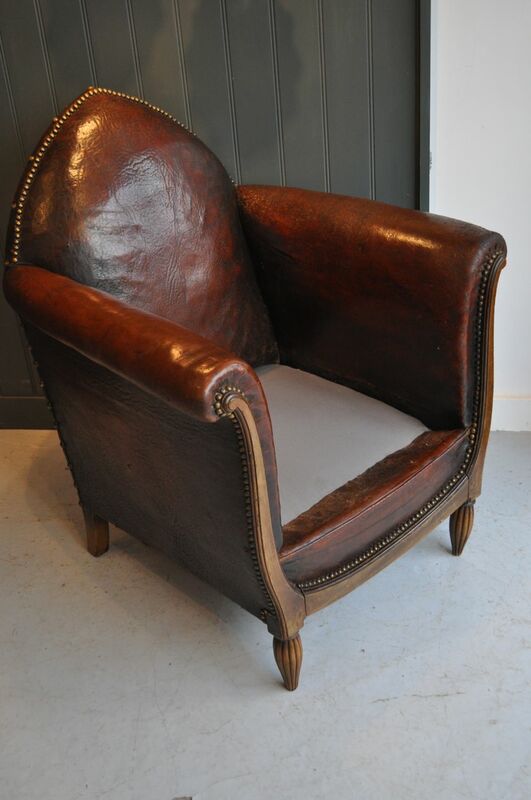 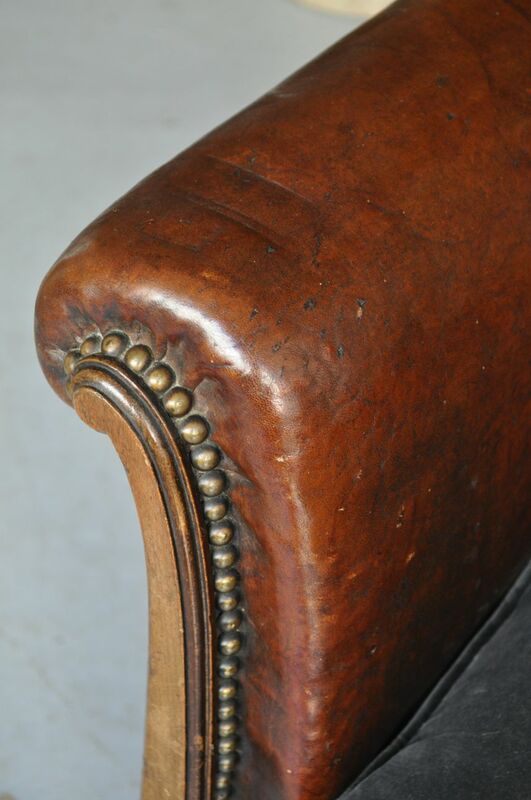 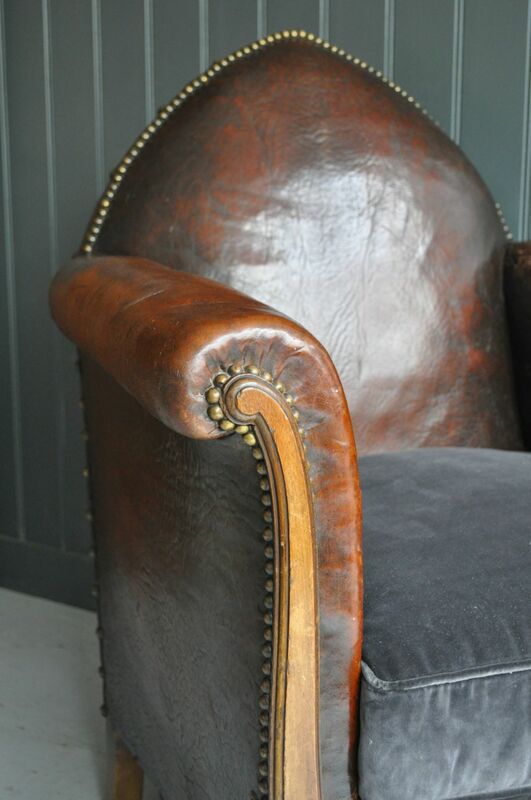 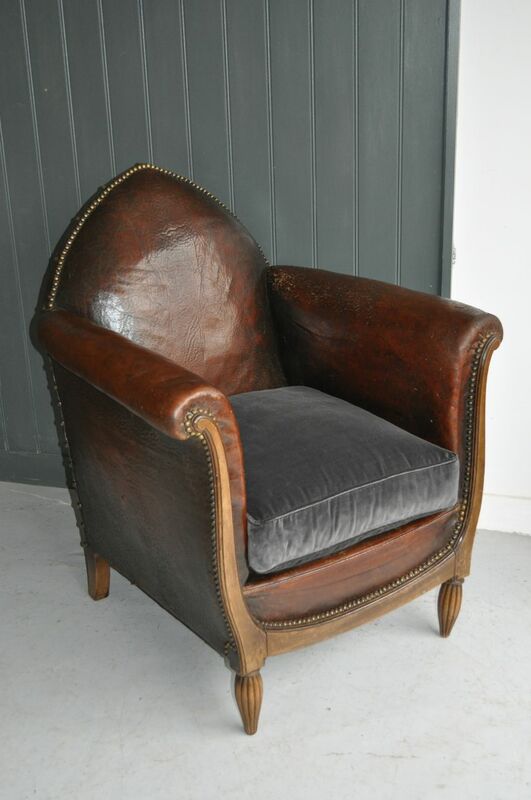 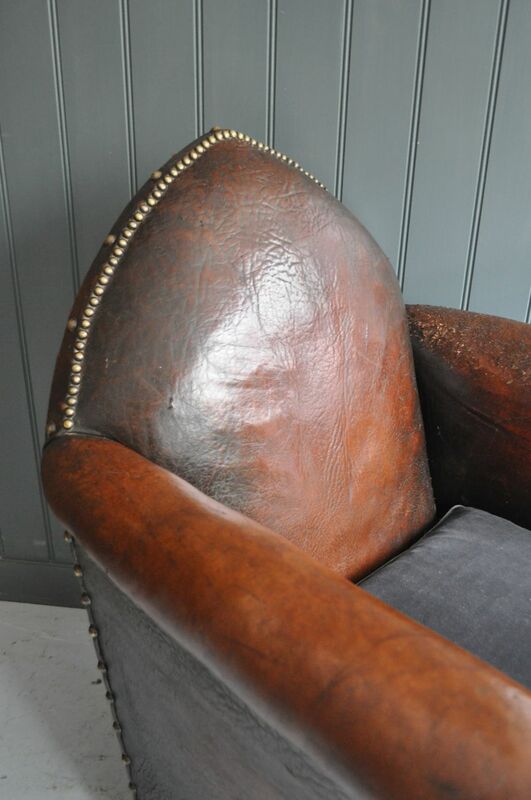 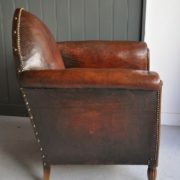 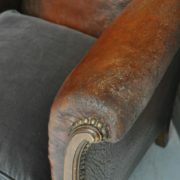 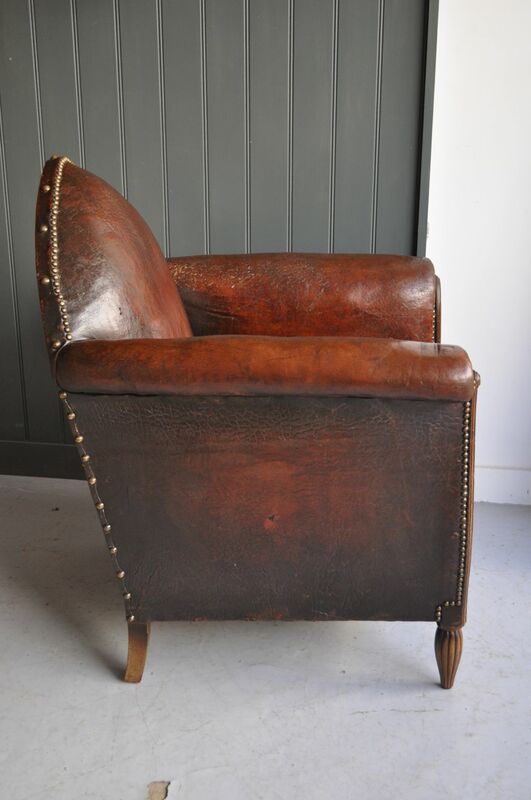 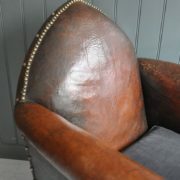 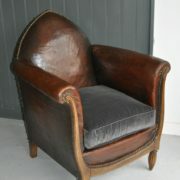 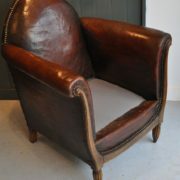 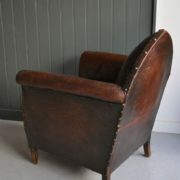 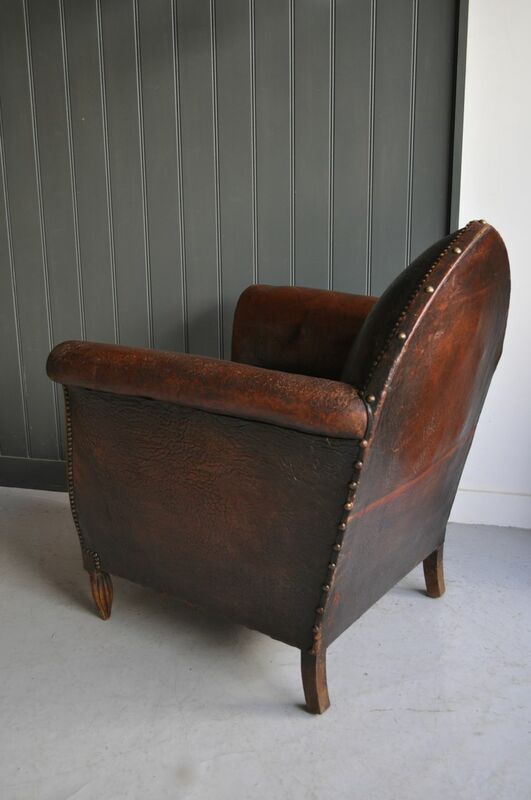 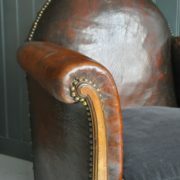 Handsome French Gothic armchair, with beautifully patinated original leather, and brass studding to perimeters. 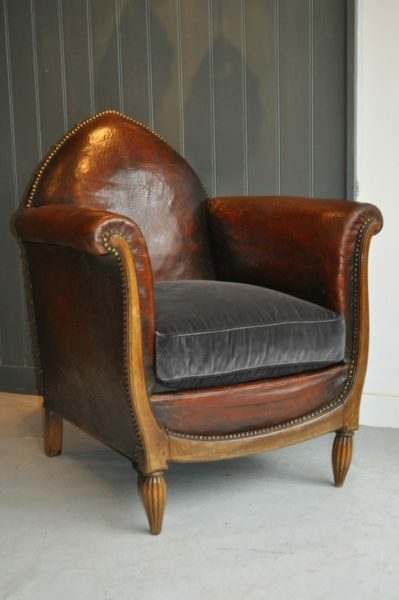 Elegant tapering reeded front legs, and a new feather cushion in a warm grey velvet. 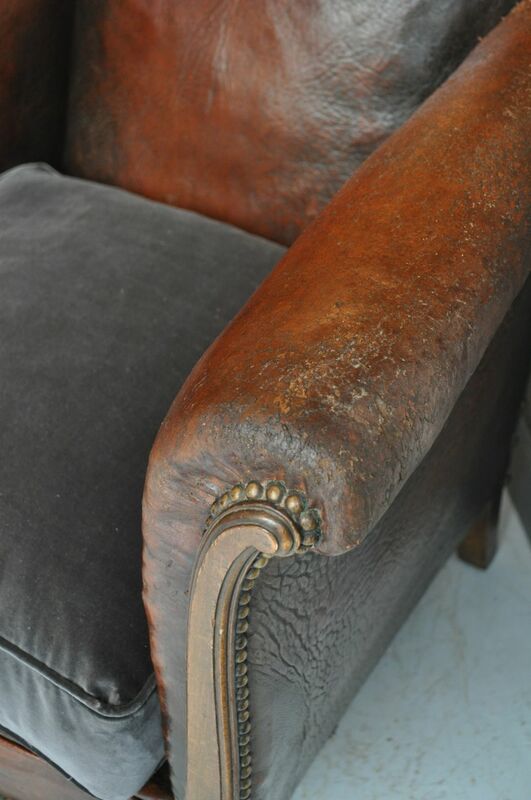 Newly reseated, and no tears or repairs to the leather, only light wear in keeping with age, and a lovely colour and shape. 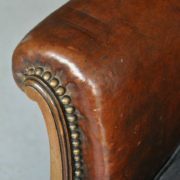 Seat height is approximately 42cm.